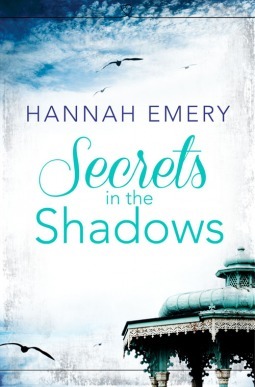 ‘Secrets in the Shadows’ is a romantic saga spanning three generations of women over two centuries. The writing style makes easy reading but this story is extraordinary. A strange mystical thread binds each generation. In a battle of fate versus free will can Grace and Elsie stop their hereditary gift from becoming a curse and avoid past tragedies? Moving seamlessly through the twentieth into the twenty-first century interwoven historical references and social norms enhance the poignant tales of Rose, Louisa, Grace and Elsie and the men in their lives. Cleverly written imagery makes it easy to visualise Blackpool in the 1920’s, 1960 through to the new millennium and beyond. The plot’s embroidery of twists and turns make this compelling reading as you wonder if each generation is doomed to repeat the mistakes of their ancestors. It’s easy to empathise with each of the women as they struggle with past emotional baggage which threatens their present life. The reader views key events from past and present points of view as the story explores past actions and present misconceptions. ‘Secrets in the Shadows’ is a poignant read for lovers of the mystical side of life, romance and twentieth century history. I received a copy of this book from Harper Collins UK Harper Impulse via NetGalley in return for an honest review.